Charges batteries up to 110 Ah. 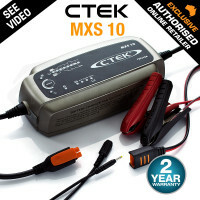 Maintains larger batteries up to160 Ah. 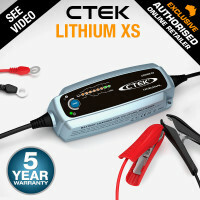 Compatible with batteries from 40Ah to 500Ah (30Ah to 450Ah lithium*). 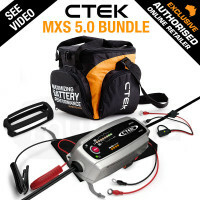 SUPPLY mode to support the battery during diagnostic or fault-finding work. Fully automatic and easy to use. 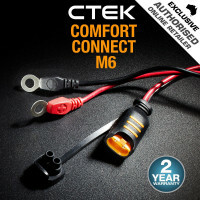 Simple to connect, spark proof and reverse-polarity protected. 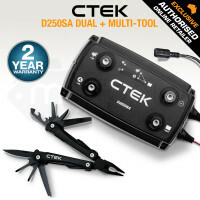 Integrated safety features, so it’s safe for the battery & the vehicle. 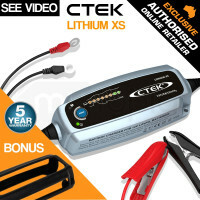 Dedicated lead-acid reconditioning programme to restore battery life and recondition flat batteries. 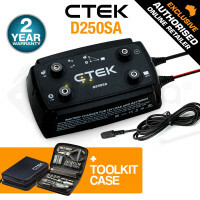 Compatible with batteries from 40Ah to 500Ah (30Ah to 450Ah 12V lithium*). 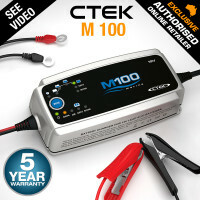 Charges batteries up to 110 Ah. 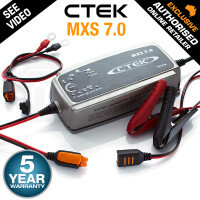 Maintains larger batteries up to 160 Ah. Charges batteries up to 110 Ah. 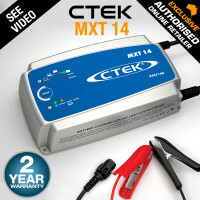 Maintains larger batteries up to 160 Ah. 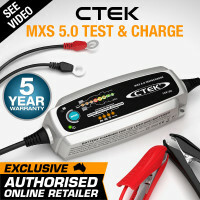 Think of reliable, smart and effective vehicle battery chargers in Australia and CTEK Battery Chargers easily come to mind. 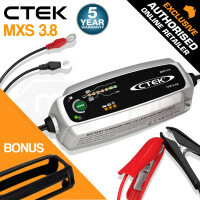 Perfect for solving a wide range of battery-related problems, these products are available with 4-step, 5-step, 6-step, 7-step and 8-step fully automatic charging cycles. You no longer have to deal with dangerous and complicated jump plates as these chargers are engineered to give you and your vehicle risk-free charging. 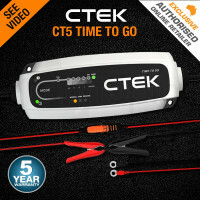 Just connect the clamps to the battery, plug the CTEK Battery Charger and you’re good to go. 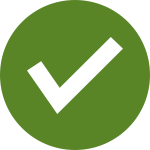 Quick, safe and simple to use, the device alerts users of incorrect connections via a smart warning light. 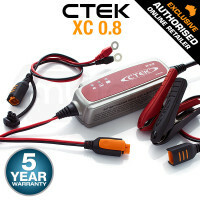 Each charger is small enough to fit in any convenient storage and is safe to use even in wet weather. 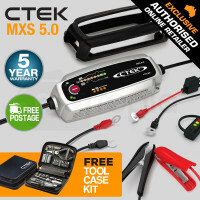 The device is designed to keep you on the road without damaging the car, destroying pricey electrics and putting you in danger. 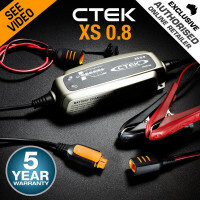 The smart 8-step charging program that CTEK Battery Chargers are known for immediately starts right after plug in. It creates disulfation to break down and eliminate the buildup of sulfate. After that, it tests and checks the vitals of batteries before initiating the bulk charging phase. The absorption process takes the battery’s charge to 100% before it is analysed to make sure that the battery can hold the charge. A special reconditioning function can be selected to restore energy to stratified and deeply discharged batteries. 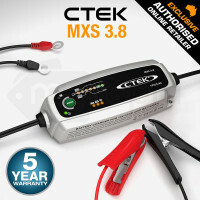 The flow charge ensures that the voltage level remains high when the battery reaches its charge capacity. Lastly, the life of the battery will be maintained and even be prolonged by a pulse charge. 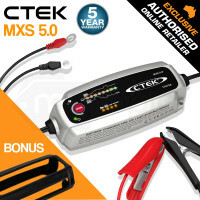 Consistently voted as the top choice in consumer polls, the CTEK Battery Charger is suitable for a multitude of battery types including Cars, Motorcycles, Bus, Campers, Caravans, Motorboats, Tractors and more used by some of the biggest names in motoring.